" In 2006, as many as 5,000 modern electric cars were destroyed by the major car companies that built them. Today, less than 5 years later, the electric car is back... with a vengeance. 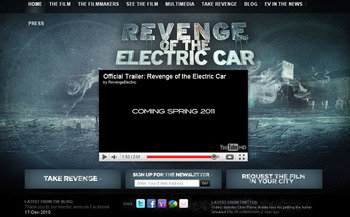 With almost every major car maker now jumping to produce new electric models, Revenge follows the race to be the first, the best, and to win the hearts and minds of the public around the world. It's not just the next generation of green cars that's on the line. It's the future of the automobile itself. " ・Wikipedia : Who Killed the Electric Car? 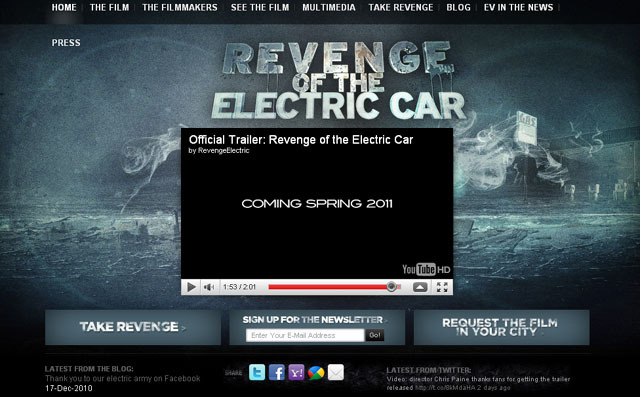 ・Revenge of the Electric Car - Press : "WHO KILLED THE ELECTRIC CAR?"